JAM SEASON 2012 NOW UNDERWAY! THE LAST WEEK OF APRIL I BOUGHT FIVE POUNDS OF RHUBARB in the Skagit Valley after an afternoon of tulip viewing with my mother and sister. I have never been a big fan of rhubarb and since the groundskeeper does like it, I gave it another try. 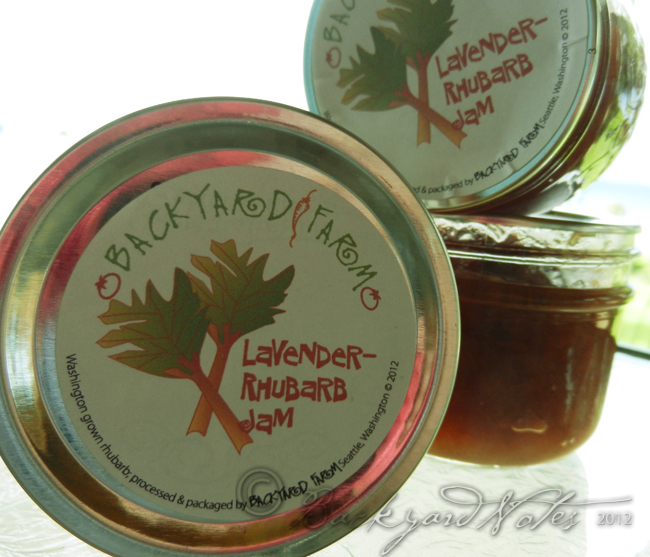 I did a little searching around and found this recipe for Lavender Rhubarb Jam at Hungry Tigress. This jam is delicious! On Friday I made mango jam (inspired by Mrs. Wheelbarrow) with lime juice, a couple of large mandarins and a minced Fresno chile. Mangoes are cheap and plentiful this last week–88¢-$1.00 apiece! 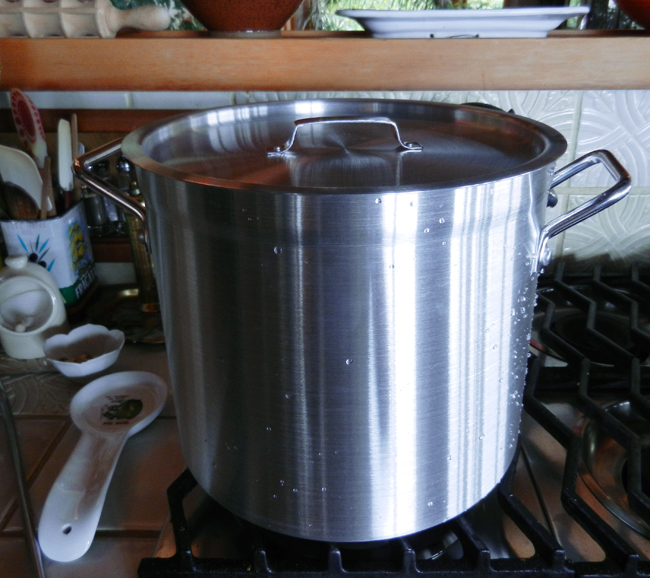 On Saturday I went to a restaurant supply armed with a quart jar and bought a new, 16qt. stock (Crestware) pot to replace my old enameled canner. 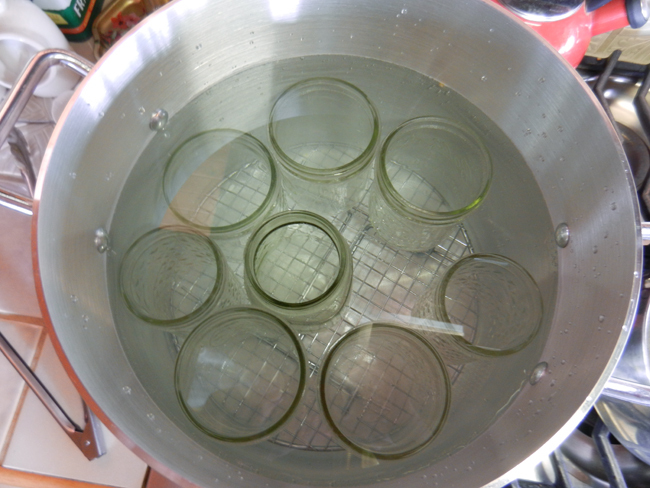 It will comfortably accommodate six quart jars (pints sterilizing in the photo) and tall enough to cover the jars with two inches of water. I also bought a rack that fits perfectly on the bottom. 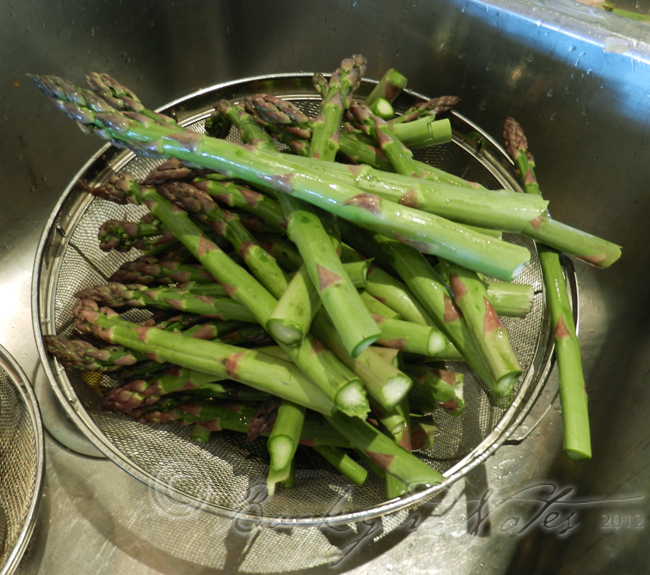 And then, I proceeded to pickle asparagus purchased at the Pike Place Market earlier in the day. It will take just a bit of getting used to since it is heavier and takes longer to come to a boil with a load full of jars. Happy with the new canner.